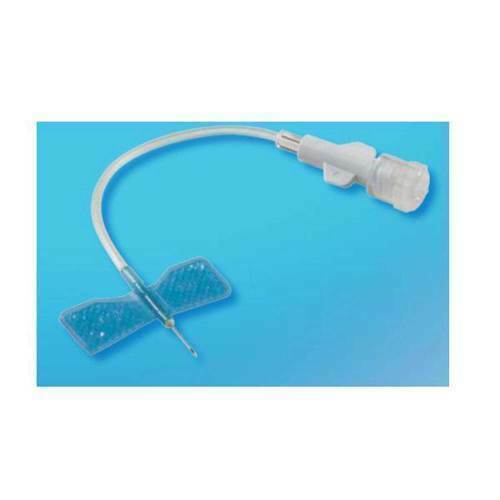 Small Vein (Butterfly) Infusion Sets: Small vein (butterfly) infusion sets are ideal for use on children or adults with smaller veins. Flexible wings with textured surface easily pinch together to assure a secure grip. Kink-resistant tubing. Female luer lock connector. 23 gauge x 3/4" needle,12" tubing.